Noel Redding formed Fat Mattress with Neil Landon before leaving the Jimi Hendrix Experience in 1969, the move allowing him to switch back to guitar from bass. Noel Redding and Jim Leverton had been in the Folkestone band the Burnettes who released two singles. Redding and Leverton were then in The Loving Kind who released three singles for Pye. Leverton had also played with Dillon in Englebert Humperdink's backing band. Landon had been in the Ivy League for a time. Martin Barre was also briefly in the band before replacing Mick Abrahams in Jethro Tull. 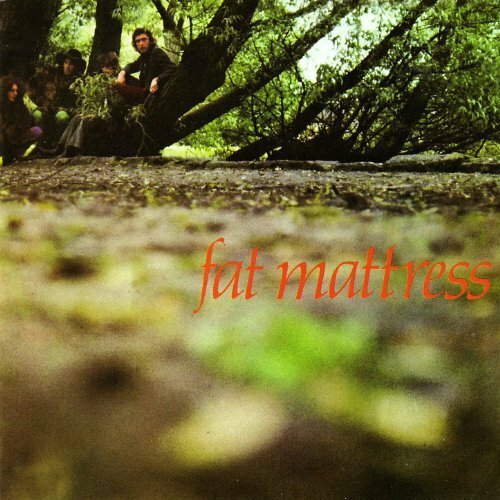 Fat Mattress made its debut as a support act for the Jimi Hendrix Experience on a 1969 US tour, Redding playing with both groups. Polydor released the band's self-tirled first album from which Magic Forest was released as a single. In August 1969, Fat Mattress played the Isle of Wight Festival. During the record of the second LP Fat Mattress II Redding and Leverton fell out and Redding left the band. He was replaced by Steve Hammond while Mick Weaver joined on organ. This freed up Leverton to concentrate more on bass and vocals. The band split in 1970 while recording a third album. Jim Leverton has been involved in a number of projects including Steve Marriott's Packet of Three in the 1980s. Noel Redding died in May 2003.